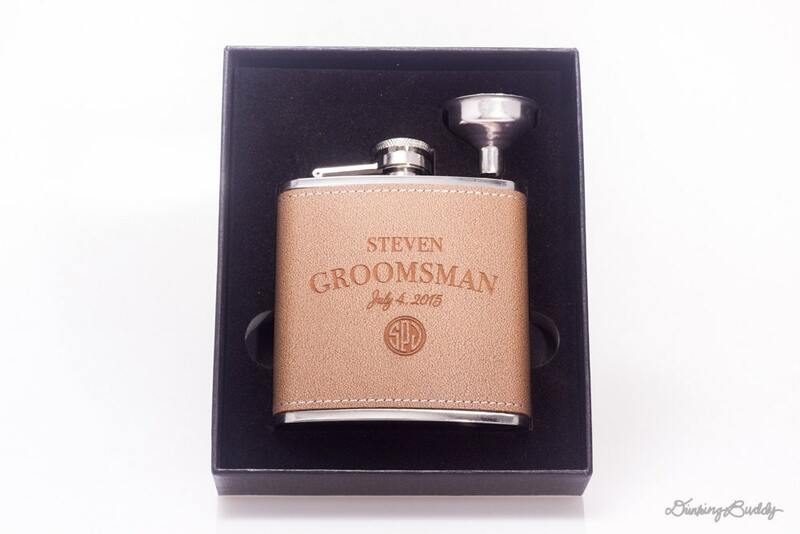 Surprise your groomsmen with this stylish gift. 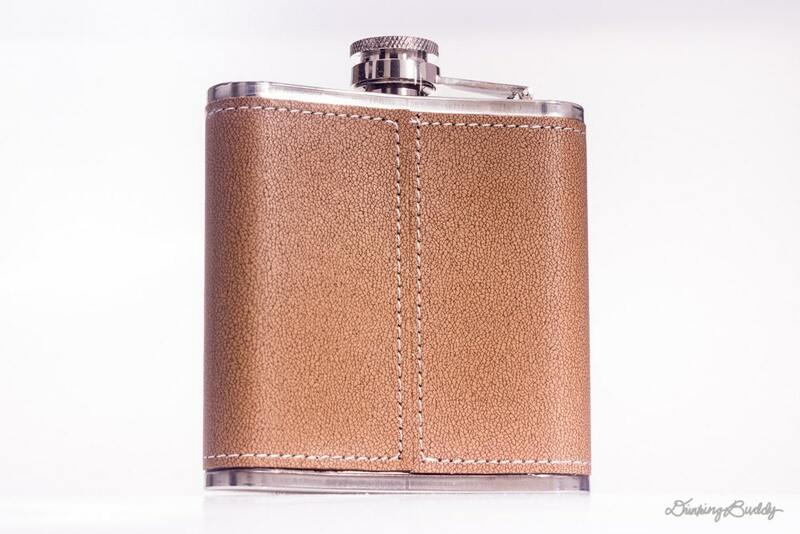 Wrapped with leather, these stainless steel flasks will keep the party going all night long. 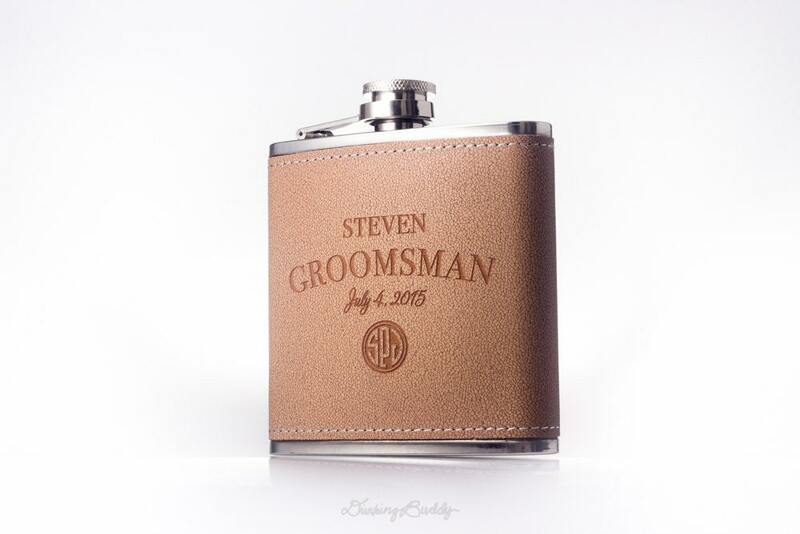 Personalized with a name and monogram for the groom, groomsmen, the best man or ushers. At checkout leave your information for each flask. Was able to make a special wish very grateful for that, nice service and quick delivery. Love love the flasks! DrinkingBuddy totally accommodated my tight timeline and rushed the delivery. 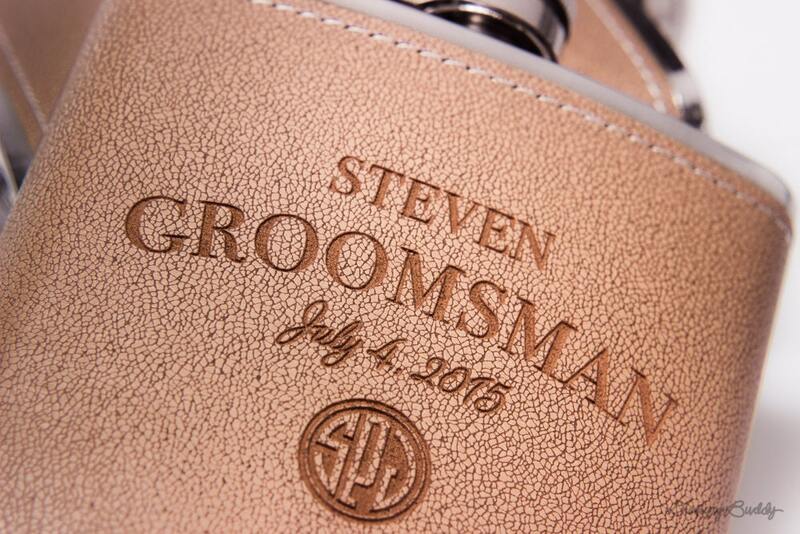 The flasks were designed and printed to perfection. 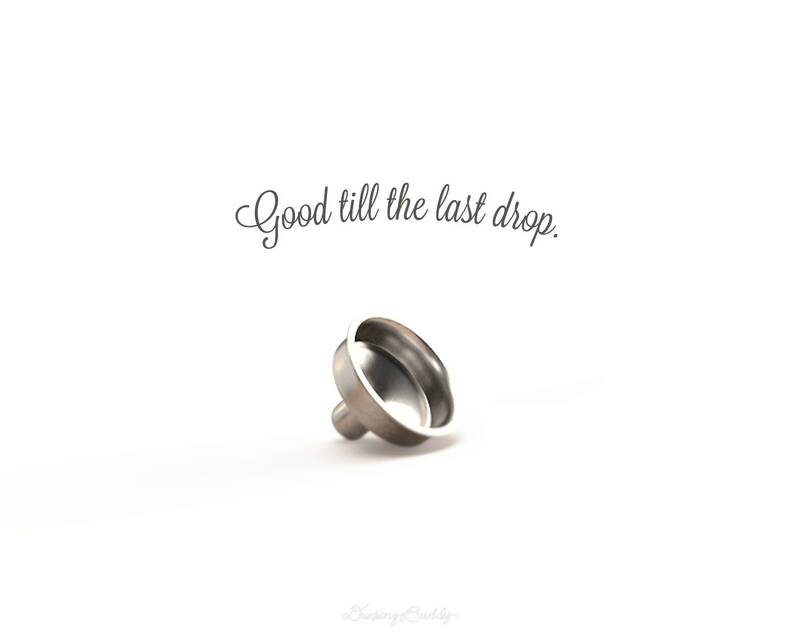 Good quality product and perfect for use. Actually lighter than I was expecting which is good for when filled. Impressed with delivery time also, took approximately 10 working days from USA!